The BLACK IRON LITE is specifically designed for light-weight aerobic style dumbbell exercise and light weight barbell, dumbbell and cable machine, resistance exercise and training. It is perfect for teenagers and women seeking a safe, reliable prosthesis for light duty weight resistance training. The BLACK IRON LITE is a lower cost, lighter weight, more aesthetic, prosthetic, weight training device. It is not recommended to be used with weights in excess of ten pounds! The BLACK IRON LITE is molded from high strength polymers, in black and two other attractive colors. 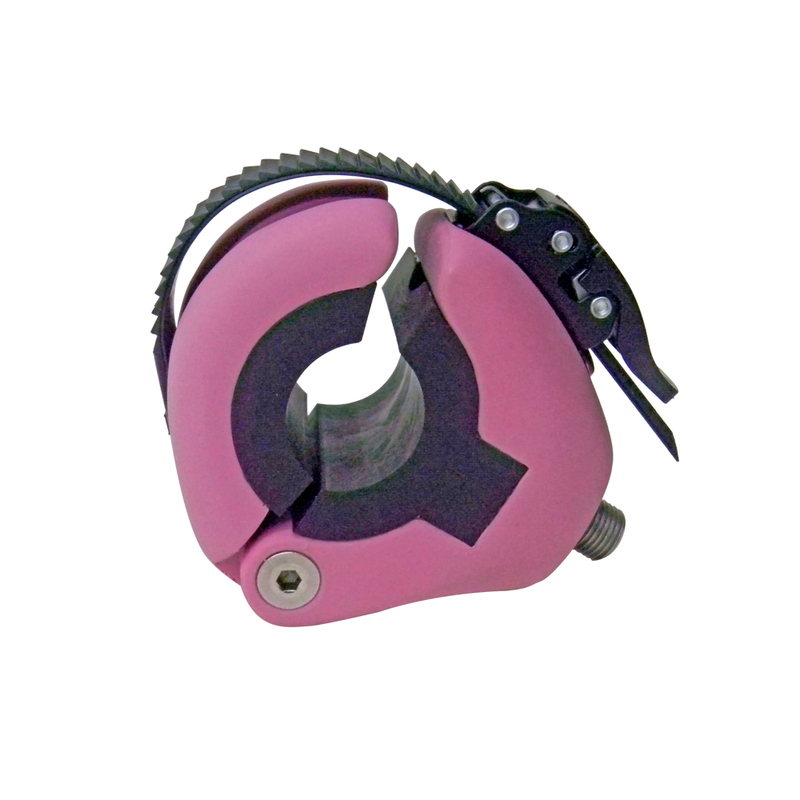 It is equipped with a ratchet type lock down strap for securely capturing weights and handles. 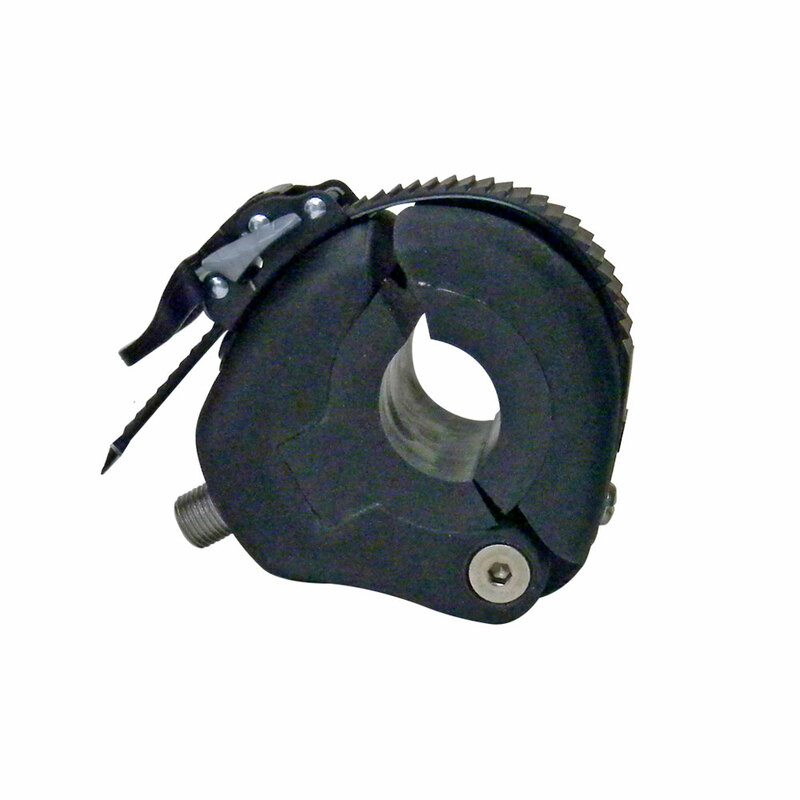 The ratchet strap mechanism allows the device to be easily adjusted to fit a variety of handle diameters and handle materials. Applications: Right or Left. Light duty weight training and exercise. Please see the section on TRS Grip 2S and Grip 3 Prehensors. These devices can be modified to accept a special “Locking Pin” accessory which provides a reliable means of handling dumbbells, barbells, cable-controlled weights and “other” types of exercise and conditioning equipment. TRS will not modify their prehensors for the Locking Pin accessory. This responsibility remains with the customer or prosthetic professional. *Custom colors are available at extra cost.